Defender (This creature can't attack.) 1: Snow Fortress gets +1/+0 until end of turn. 1: Snow Fortress gets +0/+1 until end of turn. 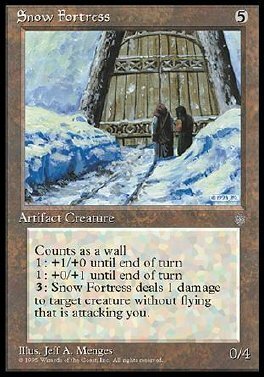 3: Snow Fortress deals 1 damage to target creature without flying that's attacking you.